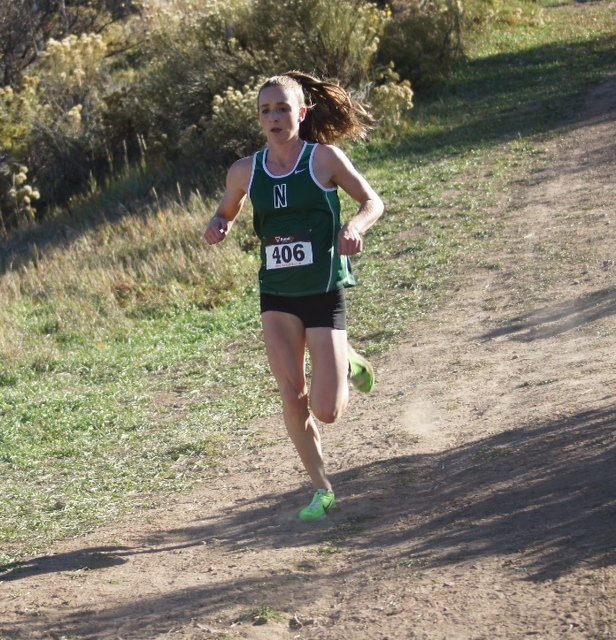 Elise Cranny, a junior at Niwot High School, is the Girl’s 5A State Cross Country champion. In what may be the signature moment of the 2012 Colorado cross country season, Cranny, trailing well behind in the final stretch, suddenly sped ahead and took the lead just steps in front of the finish line, winning with a time of 18:41.3. At the New Balance Nationals, Cranny won the mile race in 4:40.62, setting a personal-best, breaking the meet record, and landing her fifth on the all-time list of U.S. high school girls indoor mile runners. She won the Nike Cross Nationals Southwest Regional championship in 16:59.9, setting a new meet record, and was named the2012-13 Gatorade Colorado Girls Cross Country Runner of the Year. Cranny, a member of the National Honor Society and the Fellowship of Christian Athletes, has maintained a 4.21 GPA and has also volunteered locally on behalf of an area food bank. Emma Gee, a sophomore at Legacy High School, took 2nd at the State 5A Cross Country meet with a time of 18:59. She qualified as an individual for the Nike Cross Regionals Southwest where she ran a personal record of 17:37 in the 5K, qualifying for Nike Nationals where she placed 93rd in spite of illness. This track season Gee has set new personal records at the Thornton Early Bird Invitational with 5:13 in the 1600m and 2:25 in the 800m, placing first in both events. Gee is involved in a number of academic and volunteer organizations, including Student Government, Sophomore Class Leadership, Bridges and Future Business Leaders of America, where she earned 4th in State FBLA Public Speaking as a freshman. She has qualified for FBLA State in Public Speaking again this year. 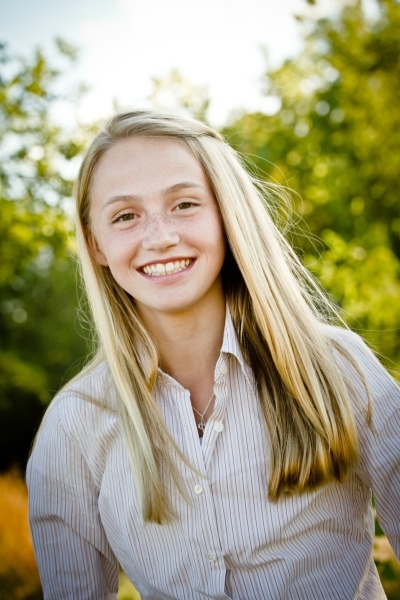 Emma is also serving as the president in her church youth group, organizing activities and community service. 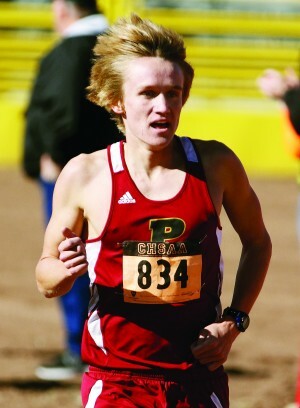 Eli Hemming, a senior at Ponderosa High School, is the 2012 Boy’s Class 4A State Cross Country champion, winning in 16:30.40 in the 5000m. He is also the Continental League champion, Windjammer Invitational champion, Coronado Cougar Classic champion, and Liberty Bell runner up. He was ranked first in the U.S. Junior Elite National Rankings and second in the Junior Elite Series Rankings. He won the USA Triathlon Monroe Junior Elite Cup and was the top U.S. junior at the Pan American Junior Championships and North American Junior Championships. Additionally, Hemming was the top U.S. junior male finisher at the ITU Junior World Championships. In 2012, Hemming was selected as USA Triathlon’s Junior Triathlete of the Year as well as the Denver Post All Colorado Cross Country Team and 4A Runner of the Year. 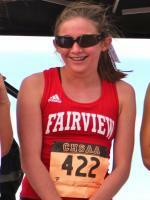 Isabelle Kennedy, a junior at Fairview High School, placed third at the 5A State Cross Country Championship as well as seventh at the 5A Track & Field State Championships. She won the Pat Patten Invitational, as well as the Front Range League Track Championships (3200m), and placed second at the St. Vrain Invitational. She took third at the Liberty Bell Invitational, and also placed third in the Bolder Boulder 15 year division. She has been awarded the Fairview High School Cross Country Most Outstanding Runner Award as well as the Fairview High School Track & Field Clutch Performance Award. Connor Lockwood, a junior at Arvada West High School, placed fourth in the 5A Cross Country State Championships. He is the Jeffco League Champion as well as the Standley Lake Invitational Champion. At the USATF-Colorado State Indoor Championships, Connor won the mile with a personal best time of 4:34.64. Lockwood also ran a personal record of 4:42.64 in the 1600m at the Fort Collins Track Club Indoor All-Comer, placing first. 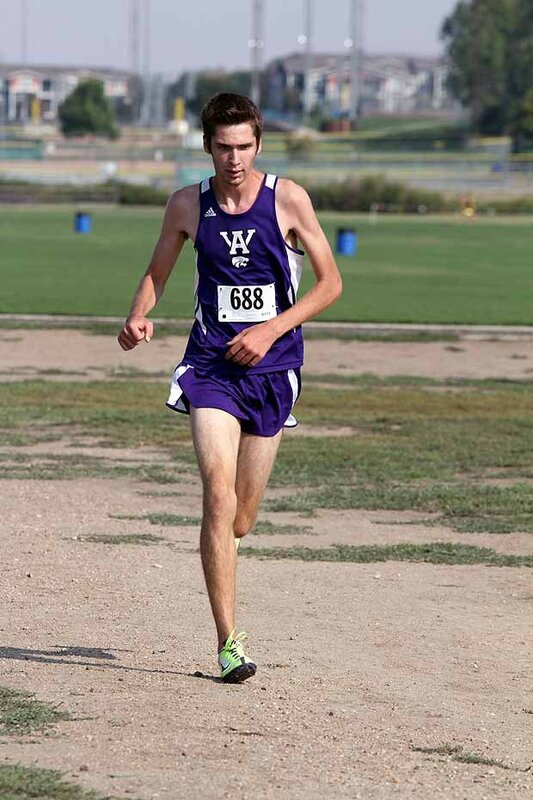 Connor was also the runner up in the 5000m at the Arvada West Cross Country Invitational, running in 16:09. 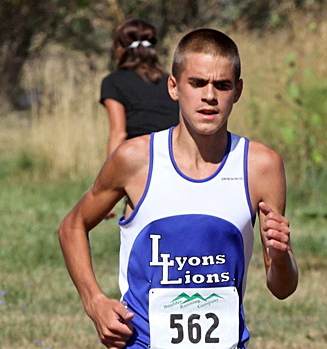 Paul Roberts, a freshman at Lyons High School, is the first freshman boy to win a State Cross Country title in Colorado, running the second fastest time of the day on the course for all classifications (16:25). He won the CM Stampede, the St. Vrain Invitational, and the Patriot League Meet (setting a course record of 15:57). He placed 21st at the Nike Southwest Regional in a time of 15:26, setting the top time in the nation for a 5K ran by a freshman. He has won his age division in the Bolder Boulder since he was 6 (nine years in a row) and he finished 26th overall in the citizens’ race last year with a time of 33:38. He was named the Boco Preps Boy’s Cross Country Runner-of-the-Year by the Boulder Daily Camera and the Longmont Daily Times, and was also named The Denver Post and Colorado Mile Split 2A Runner-of-the-Year.